Why is My Apartment Not Rent Controlled? There are many reasons why your particular rental unit may not have the benefits of rent control. It could be that your local authorities never enacted any type of rent control. Meaning it might not just be your building that is without rent increase limitations, it may be your entire city or county. You may lack rent control because despite your area having rent control, you live in an exempted unit. 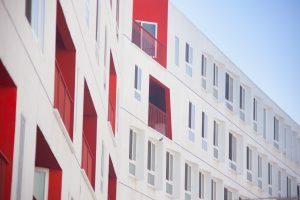 Many areas, like San Francisco, have rent control for older units but exempt “new construction,” which is any unit granted a residency certificate after a specific date. In San Francisco, that date is June 13, 1979. However, there is another reason you may not have a rent controlled unit. A California law known as the Costa-Hawkins Rental Housing Act restricts municipalities from creating rent control ordinances on newer buildings. While some cities in California chose to enact rent control at one time, many never did. Rent control becomes popular during times of rising rents and limited housing. However, it is not standard across the country by any means. Many cities and counties across the U.S. have never experienced housing shortages. Or when issues arose, they allowed the market to control the outcome instead of attempting to legislate the issue. Your local ordinance may also great rent control on only certain units based on their type and creation. Many cities chose to only cover units created up to a certain date, like San Francisco. While many units are covered this way, newer and often much more expensive units are not. In 1995, the California legislature limited rent control throughout the state. Under the Act, municipalities cannot create rent increase caps for on-going tenants in single-family homes, apartments, and condos for residences first occupied after Feb. 1, 1995. Cities and counties also cannot control the rent a landlord chooses to charge at the beginning of a new tenancy. This means, even if a municipality within California wanted to implement rent control or expand it to new units, it cannot. The only rent control possible is for ongoing tenancies in units created prior to 1995. Considering all of the newer homes, apartment buildings, and condos built in the state over the past 20 years, this leaves many units and tenants unprotected. A few California legislators and many tenants’ rights activists have realized the negative consequences of the Act. Assemblyman Richard Bloom, D-Santa Monica, proposed a bill to repeal the Act. However, Bloom has requested that the legislature not vote on the bill this year, in order to work with various constituencies on better alternatives. If you believe you are being subjected to an unlawful rental increase or eviction, contact the San Francisco tenants’ rights attorneys of Brod Law Firm at (800) 427-7020 today. We offer free consultations to review your situation and advise you on your legal rights and options. There may be times when a landlord’s unfair actions are unfortunately lawful. However, landlords often violate the law to make more money on rent. If you are being injured in this situation, we will help you however we can.